ForTechiesOnly: CrouwdFund Act of 2012 !!! We did it . Yes we can. CrouwdFund Act of 2012 !!! We did it . Yes we can. Thanks Congress and BAM ! take that big corporations and evil politicians who tried to ruin the internet with SOPA and PIPA. The good guys have retaliated with some pro internet and pro start up legislation of their own. The crowd Fund act, was part of the Jobs act that was sent to Obama by Congress on March 27th. It was signed. 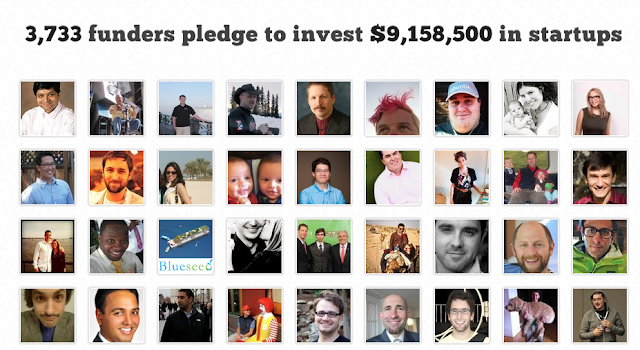 The crowd fund act waves the SEC requirement for raising money from ONLY accredited investors. I have personally raised Angel fund raising, and was shocked to learn that you could not raise money from people who have a net worth that is less than a million or make less than $200,000 per year. This is (i guess now was) a huge problem for funding and capitalizing start ups. Now anyone can invest and get equity in their favorite interent start up or their local organic grocery store.